The main purpose of the Reanimator is remote malicious program removal. Greatis Support team analyzes the user's report and creates the cure file "RNR.RNR". 1. Save downloaded reanimator.zip to your hard drive. 2. 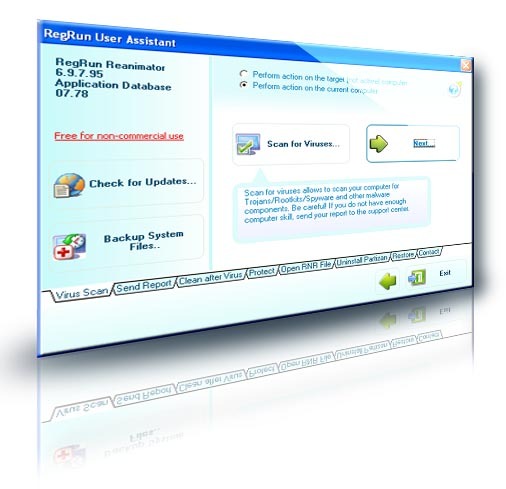 Unzip reanimator.zip to any folder on your hard drive. 3. Open ReanimatorStart.exe and proceed installation. If you have installed UnHackMe you will be prompted for updating UnHackMe Reanimator. 6. Choose Yes. After that click "OK". 7. Wait for connection with Greatis Software Support Center via your Internet browser. 8. Fill in the ticket form. Click Browse and locate "regrunlog.txt" on your desktop. Do not paste the regrunlog.txt contents directly to the Message box. Please, describe your problem in detail in the Message field. 9. You will receive our confirmation e-mail message to your e-mail box. 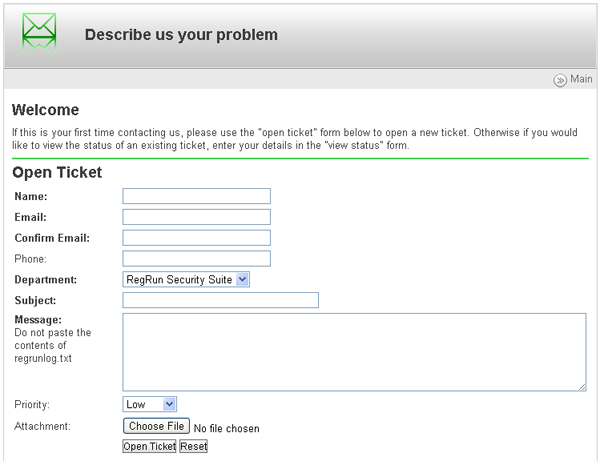 Later you can logon to the Support Center using your Ticket ID and your e-mail. 10. You will get an answer from the Greatis Software Support Team within 1-2 working days. Please, set up your spam filter for allowing to receive messages from greatissoftware.com and from greatis.com. 967 6,414 Greatis Software <img src="https://www.oldergeeks.com/downloads/gallery/thumbs/RegRunReanimator1_th.png"border="0"> Jan 18, 2019 - 13:00 10.10.0.760 15.57MB ZIP , out of 14 Votes.